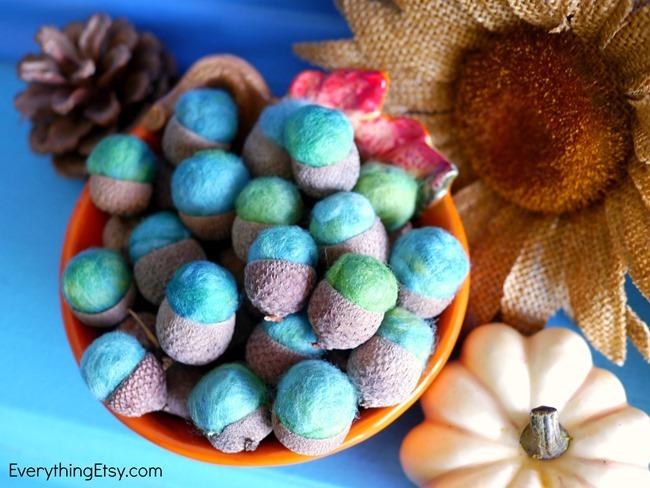 I love little touches of fall through out the house, and these Felt Acorns are an awesome DIY project to create a little seasonal magic. 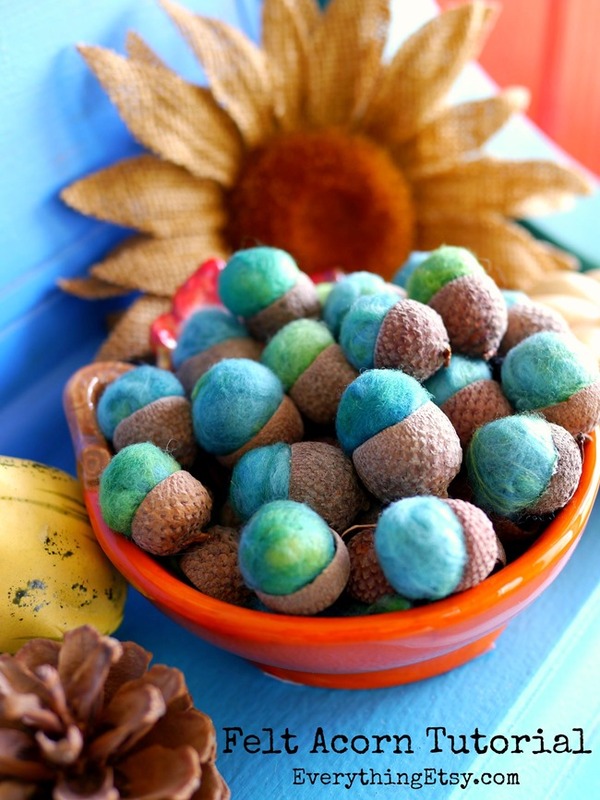 You can easily make a batch of felt acorns to decorate your table, make napkin rings, top off a gift or add them to a fall wreath. 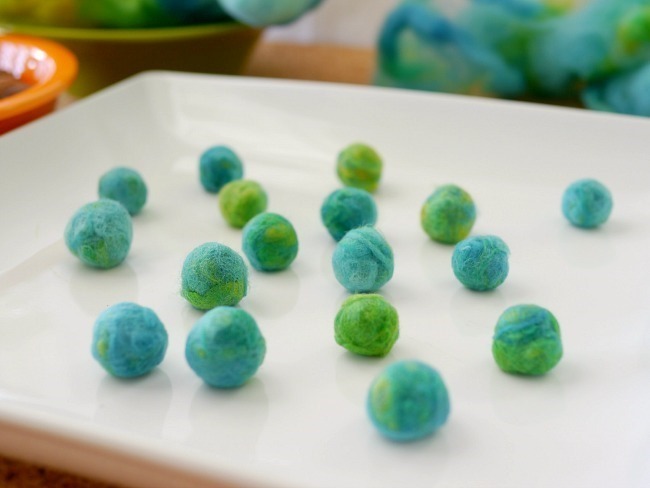 There are a million things you can do with these little cuties! 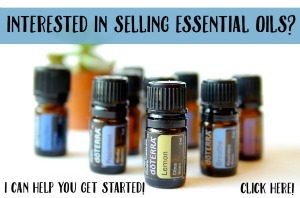 You need to try some for yourself. 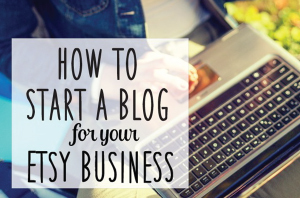 Gather up a few simple supplies and you’re all set! 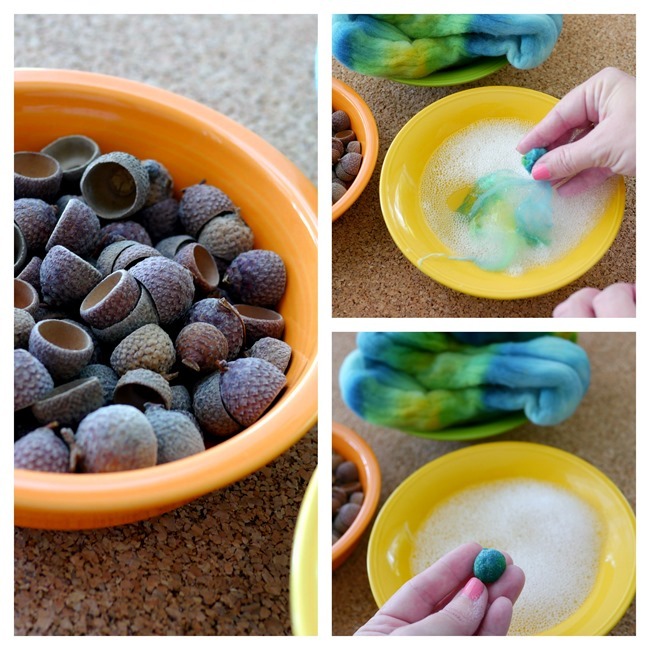 Tear off a tiny bit of felt and dip it in the warm water while working it into a ball. Add a tiny more. 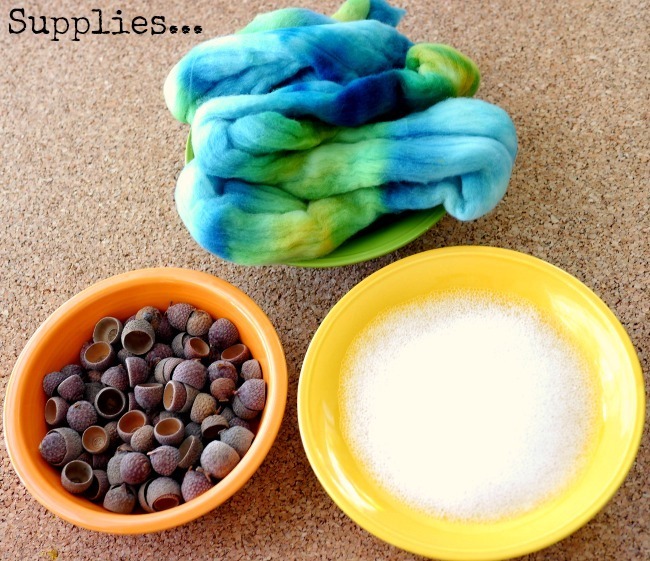 Then a bit more wrapped all around until you create a smooth little felt ball. The first one might turn out a little strange and not so round, but you’ll get the hang of in by your 2nd or 3rd one. 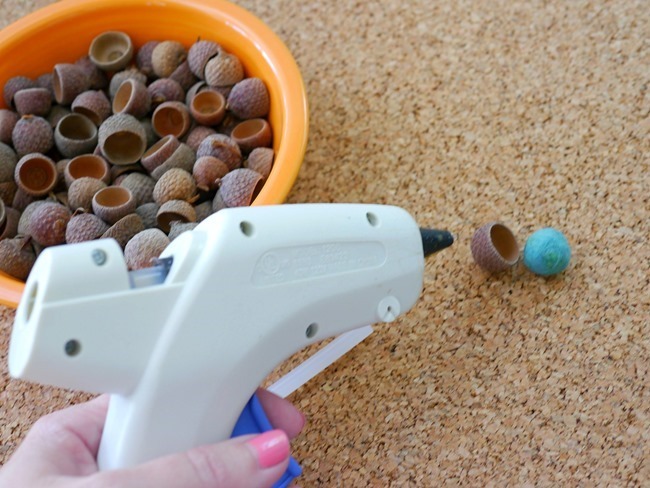 Then add a dab of hot glue to your acorn cap and pop your felt ball right in there. 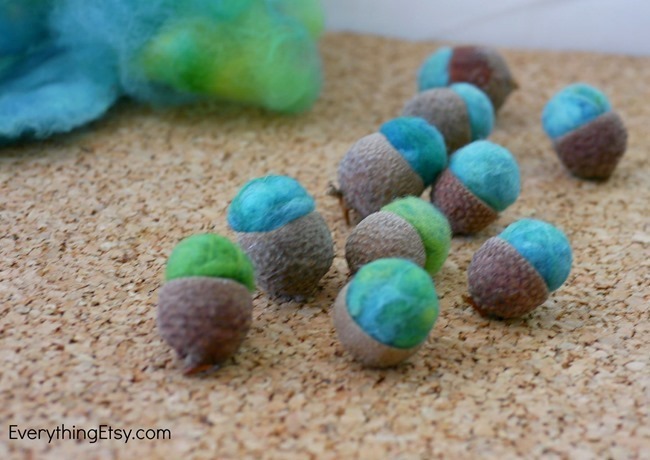 You’ll have to kind of match up the right size felt ball to the right size acorn cap. In just a few minutes you’ll have a whole bunch of them! Cute, aren’t they? Use any color felt your heart desires. I made mine to match my blue piano and I couldn’t be happier with the mix of blues and greens. I hope you’re starting to enjoy some fall weather! We’ve had a couple days of cooler mornings here in Florida and I can’t wait for some sweater weather! 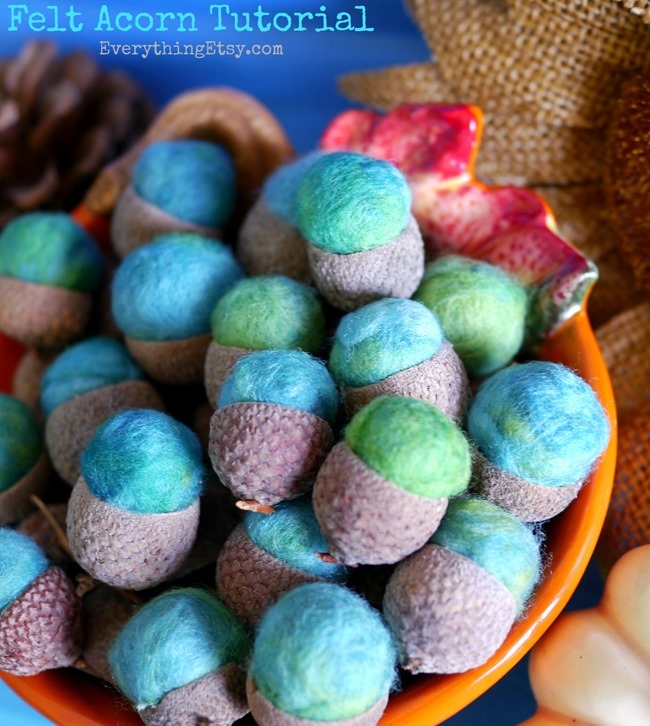 Have you decorated for fall? 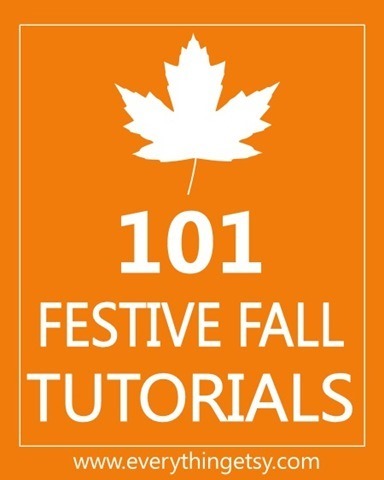 Do you start with fall pumpkins and leaves, or do you go straight to Halloween? I have to have a few fall leaves and such around the house right away!